You have probably seen by now tons of cute ways to kick off the summer with a great bucket list of ideas. The idea is simple, keep kids busy! The actuality is quite the opposite. It's week one of summer vacation, and this mama is already scratching her head. A little brainstorming ahead of time, can help alleviate the "I'm bored" statements of tomorrow. Sit down as a family and think of some fun, educational, out of the box, near and far adventures that you can do over these dog days. Whether it be a trip to a local museum, a BBQ at the pool, or a scavenger hunt at home, you'll be sure to make some fun summertime memories. 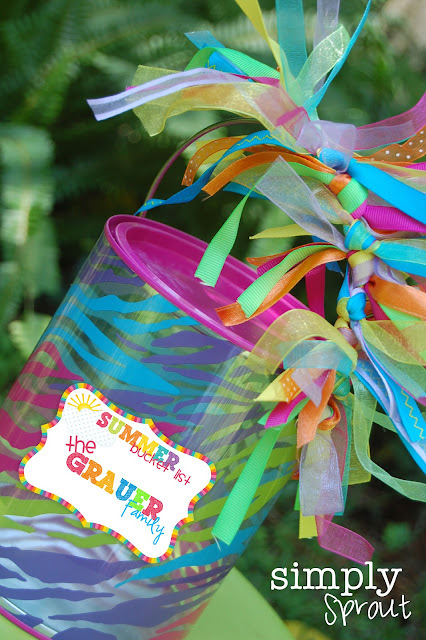 Decorate a bucket and allow the children to add their submissions. This will be your go to for outings with your family and friends. 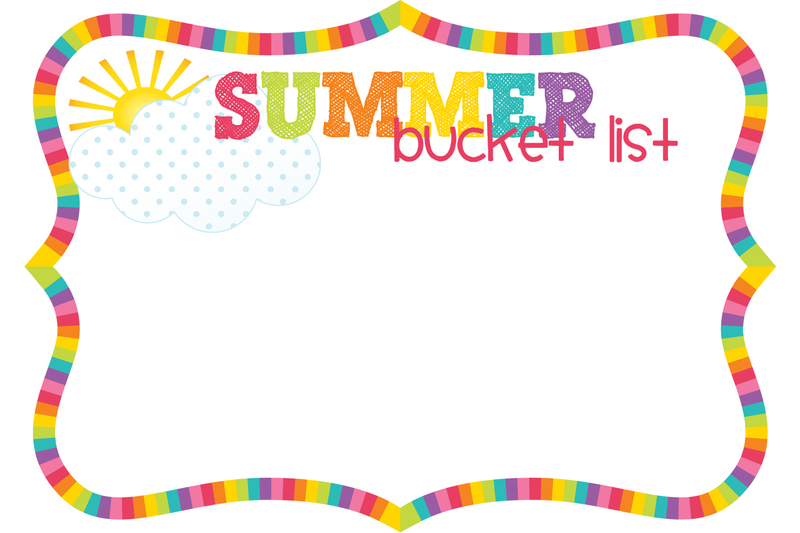 Since learning doesn't take a vacation, make your memories count with this colorful and fun Summer Bucket List Journal. A great daily or weekly activity that will become a wonderful way to cherish this summer for years to come.